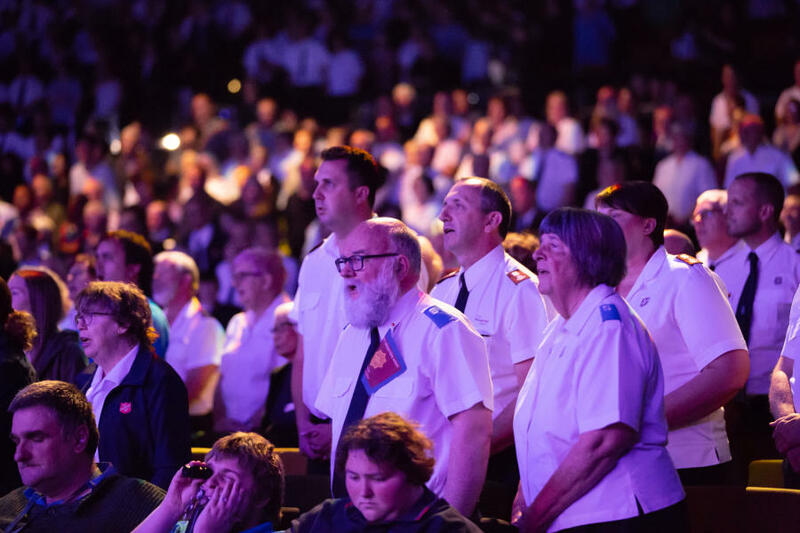 The Salvation Army’s Still Others ‘Gathering as one Army’ saw thousands of Salvos from across Australia meeting in Melbourne over five days, with hundreds more watching the main meetings online. “Five days at Still Others with several thousand of my closest friends,” was how Chris Brindley from Brisbane City Temple described it, with National Gender Equity Advocate, Colonel Julie Campbell, agreeing, saying it was just like a big family reunion. The openness of the world leaders to mingle and chat with Salvos at Still Others, and during their earlier visits to Sydney and Brisbane, came as a pleasant surprise to most. Others weren’t so shy, and Salvo Facebook feeds clogged with pictures of Australian Salvationists and officers, beaming beside their world leaders. The Youth Block Party on the Saturday night was the highlight for many young Salvos. “Major Rava was preaching up a storm,”said Jacob Browning from Menai Corps in Sydney. At the same time as the Youth Block Party, hundreds of Salvos and their families enjoyed Our Christmas Gift concert, featuring Silvie Paladino, James Morrison, Alana Conway and Isaiah, among other artists. “The song More than Wonderful, sung by Silvie Paladino and Isaiah, to me was an affirmation of the lordship and kingship of the baby Jesus whom we celebrate at Christmas. Silvie and Isaiah showed their love of our Saviour as they sang with authority and commitment,”said Rhondda Kingston from Sydney’s Inner-West Salvos. The time between sessions was almost as powerful as the sessions themselves at Still Others, with connections being made between Salvationists from the territories formerly known as Australia Eastern and Australia Southern. One corps officer from NSW introduced herself to her counterpart from a corps in Tasmania. A connection was instantly made when the officer from Tasmania revealed that she had been praying for a member of the NSW corps, since she saw a prayer request on Facebook earlier this year. This launched a long discussion, where they were able to share stories of miracles and hardships. For newly enrolled soldier of Kalgoorlie Corps in Western Australia, Cameron Mallory, the experience of being part of Still Others was eye-opening. “I felt honoured to be a part of it. The best part would have to be the workshops and exhibitions; some of these blew my mind. [I thought I was] aware of a lot of what the Salvos do, well it turns out I knew very little and my mind was blown. It makes me even more proud to be called a Salvo!